So what to do when someone invites a friend to his/her home for tea without checking if there are enough diet friendly biscuits stashed up for people following diets? Yes, we have to bake some. Yes, sure we could buy some as well but those would ruin our reputation for life. 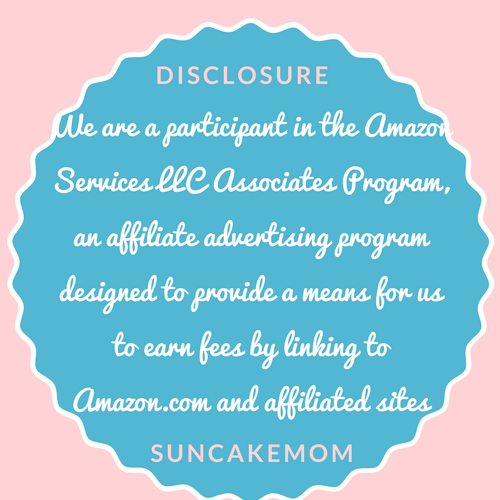 Those who bake doesn’t just offer someone store bought goodies. Not even to our arch enemies. Especially not for them because that would put us way below their level. So we have to bake one quickly. 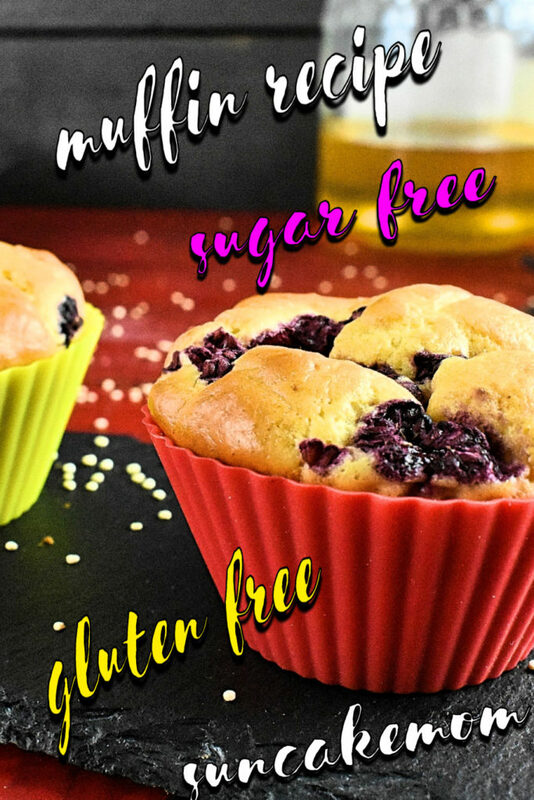 Luckily these sugar free muffins are as easy to prepare as the ones based of gluten and sugar. Sure it needs some quirky ingredients but nowadays we have those in the cupboard anyway. Crack the eggs, separating whites from yolks. Measure quinoa seeds. Grind until there is a flour like texture of it. Mix baking powder with quinoa flour. Put egg whites into a mixing bowl. Beat it until soft peaks form. Keep beating whilst we mix yolks (optionally agave or honey) with the egg whites. Fold quinoa flour carefully in with the egg mixture alternating it with the coconut milk. Add the vanilla too and mix until it’s incorporated well. 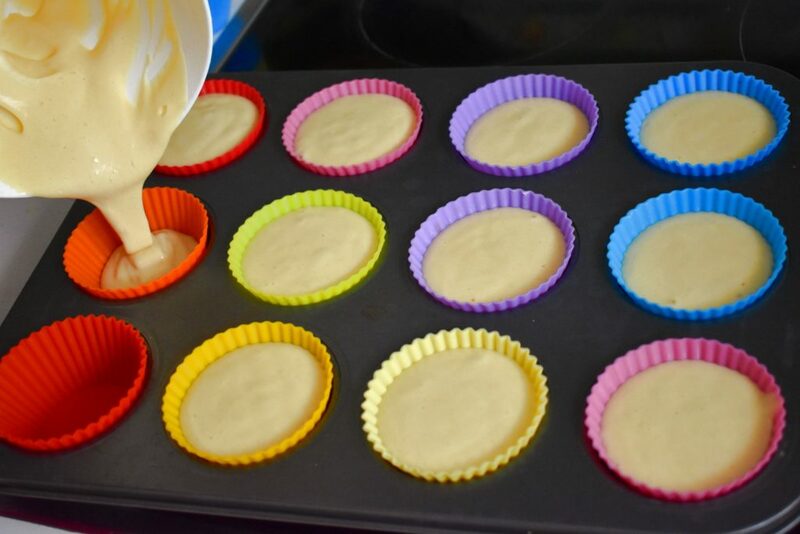 Pour mixture into muffin baking tray. 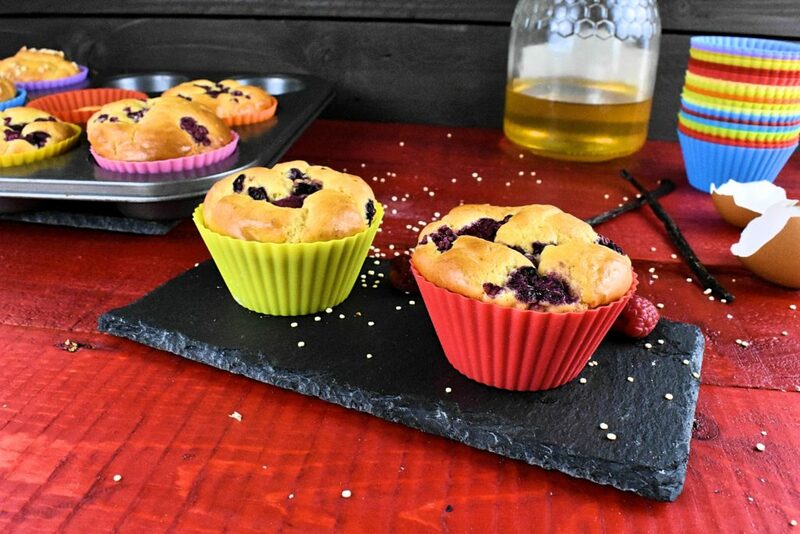 We can use silicone muffin baking cups in the baking tray or even a silicon muffin tray to make life easier. Throw raspberries on top of each muffins. More raspberries we use the better it tastes. Raspberries give muffins a great flavor and it’s a nice decoration too. Serve them for dessert or as a teatime snack. What about a bit of chocolate in the muffins? Check out our almond based Sugar, Dairy and Gluten Free Chocolate Muffin. It’s real treat! 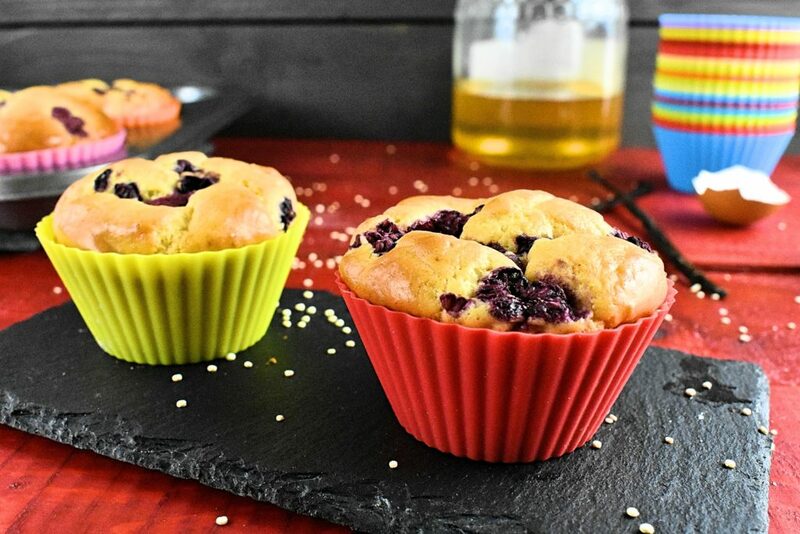 Sugar Dairy and Gluten Free Muffin Recipe with Raspberry. Keep beating whilst we mix yolks (optionally agave syrup or honey) with the egg whites. Throw raspberries on top of each muffins. More raspberries we use better it tastes. 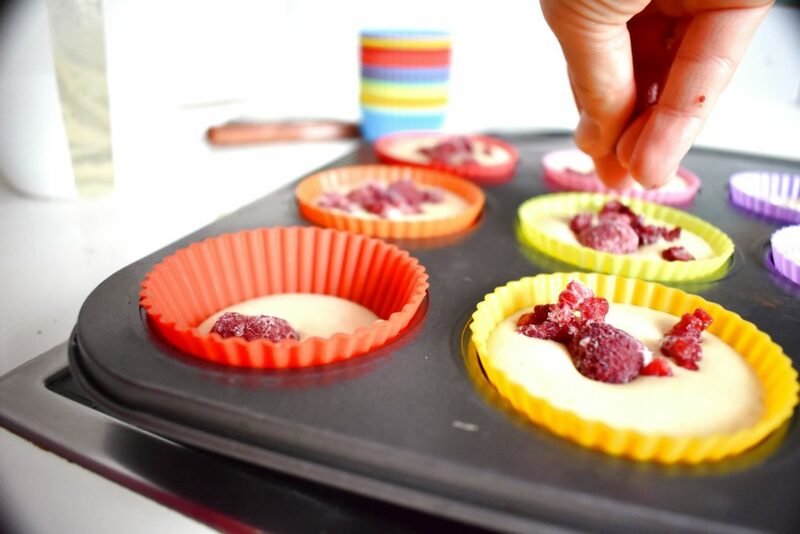 Raspberries give muffins a great taste and it’s nice decoration too. They are delicious indeed! The bits of raspberries are a very pleasant surprise especially if you don’t use much sweetener in the pastry.